Thank you to our Sponsors and Grantors! 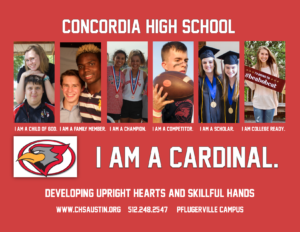 Concordia High School generously provided the event space as well as a number of tables, chairs, and other equipment for our 2019 Kickoff Convention. We connect to the internet thanks to a grant from Mobile Beacon.